Kaikaro in Higashi chaya-gai. They refuse the first time customers for Ozashiki (tatami mat room) at night, but you can look in the house and enter the café at day time. 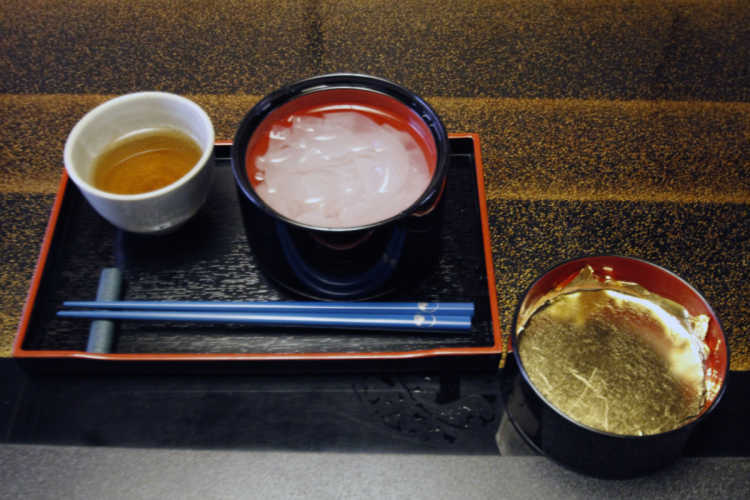 I recommend you a 'golden kuzukiri'. Both of the looks and taste are very gorgeous.